For a first time visitor there are a few absolutely essential things to do in Prague. In our minds Prague is among the very most spectacular cities in the world. And as such, there are a ton of amazing things to see and to do in Prague. We have seen many a city, and few of them have left as large an impact on us as the “City of 100 Spires”. 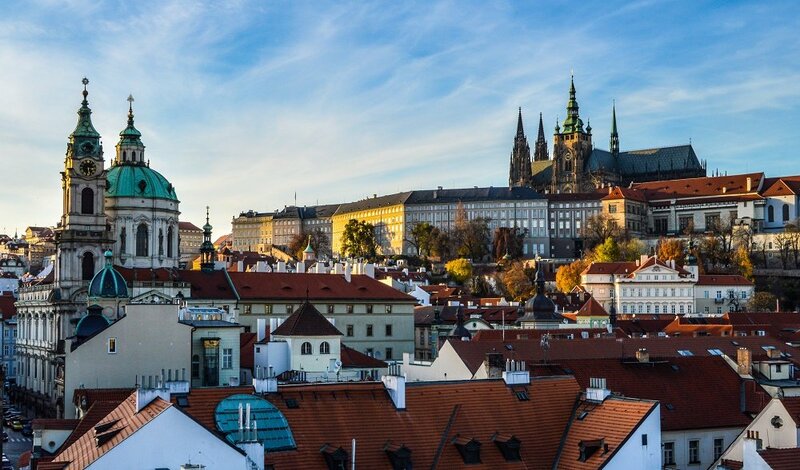 While most people associate Prague with stunning views of Prague Castle, or walking across the historic stones of the gorgeous Charles Bridge, beautiful architecture is not the only thing the capital of the Czech Republic offers. As you will see if you keep reading there is sooo much more to see and to do in Prague than marveling at beautiful old stones. 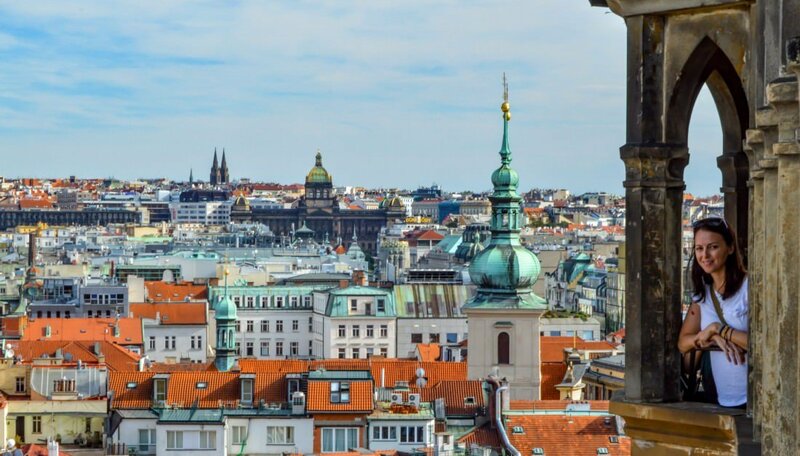 Prague possesses a wildly eclectic mix of history, culture, ambiance, nightlife, beauty (both man-made and natural) and affordability that sets it apart from any other city we have ever spent a substantial amount of time in. 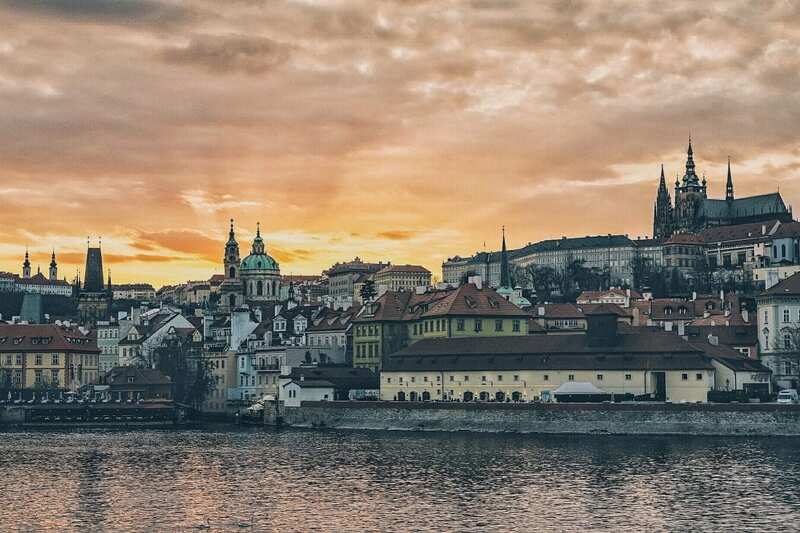 Lovers of amazing architecture, historical ambiance, beer, and incredible Gothic skylines will fall in love and find countless of things to do in Prague. 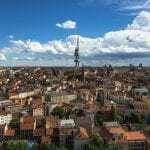 We have spent a good deal of time in Prague over the last five years, living in many apartments and neighborhoods around the city during that time. However, we were once first time visitors to Prague, like you will be, and we distinctly remember how that felt. It was like stepping into a fairy tale, a Disney Land for grownups, almost. We were a bit lost at first, and drawn towards only the most touristic parts of the city. There truly is a ton of things to see and to do in Prague’s center, especially when you are new. Prague offers a new tourist a lot more than first might meet the eye, and after you see the spectacular beauty of the center, we highly urge you to explore a bit beyond the small area on your tourist map. With that in mind we put together a bit of a list, not ranked in any particular order, of top things to do in Prague for a first time visitor. Every single item on this list is either free or as close to free as you can get. Everything on this list of things to do in Prague should be done at least once. Bear in mind that some of these locations and activities are rather obvious, and will be crowded with tourists pretty much all year round. If you aren’t sure what time of year to visit check out our guide on which season to visit Prague and the Czech Republic. If you like tours you should experience the city with one of these great tours in Prague! For help budgeting and planning your trip, for information on how to get around the city, or for tips on when to visit Prague check out our Prague Travel Guide for this amazing city. 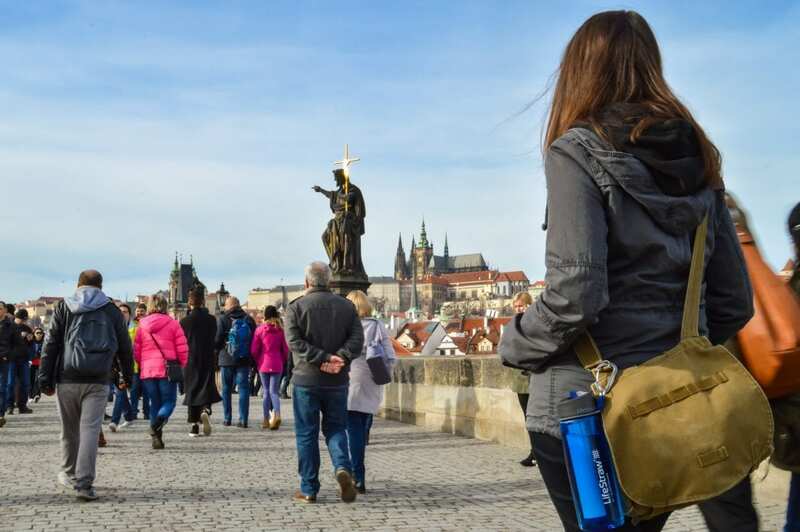 We wrote this guide to help you spend as little as you can in Prague, so if you are a backpacker or a shoe-string traveler be sure to check it out! For those who prefer privacy and the comforts of home – Best holiday apartments in Prague. Finally, we highly recommend both exploring Prague off the beaten path, and taking a day trip from Prague. Luckily for you we wrote two mega articles on both topics! 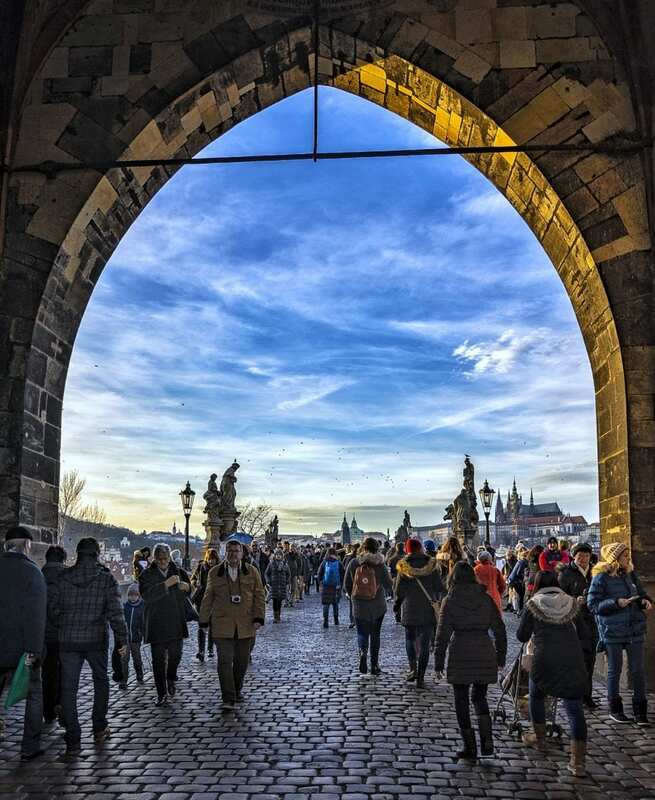 Getting off the beaten path in Prague will take you away from the ever increasing swarms of tourists and will show you parts of Prague few visitors ever get to see. And those parts are great, trust us! 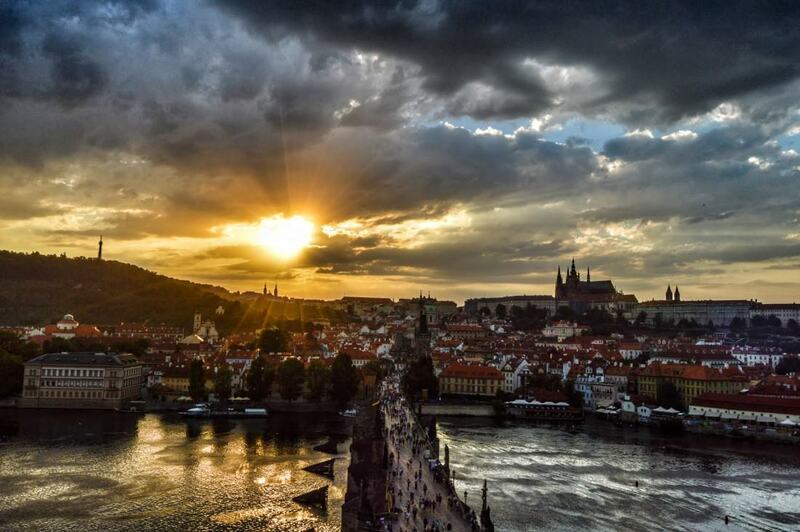 Taking a day trip from Prague will expose you to the endless wonder of the Czech Republic. For such a small country (population 10 million) the Czech Republic is PACKED with awesome little villages, fantastic towns, and beautiful bits of nature. Make sure you leave Prague at least once for a day trip, or better yet an over night trip to one of these awesome places! And now, without further ado, things to do in Prague for you, a first time visitor! Walking across the Charles Bridge is an absolute must for first time visitors of the city. Yes, the bridge will be crowded with other tourists, but so what? We lived in Prague for many months and visited the bridge countless amounts of times, never getting sick of the views. And neither will you! That’s why, out of all the sites to visit in Prague, the Charles Bridge is the absolute first one you will have to see! The famous Charles Bridge spans the Vltava river and connects Old Prague Center to Mala Strana, which means “Little Side”. The bridge is protected by three imposing Gothic towers and is home to thirty Baroque-style statues and statuaries. The Charles Bridge (or Karlův most in Czech) is almost 700 years old, and took about 50 years to build. That’s pretty crazy, right? Think about that as you walk over its storied cobblestones, and marvel at how long this living piece of history has spanned the river. The Charles Bridge is remarkable both day and night, and draws a large amount of tourists and merchants in all but the quietest hours of dark. 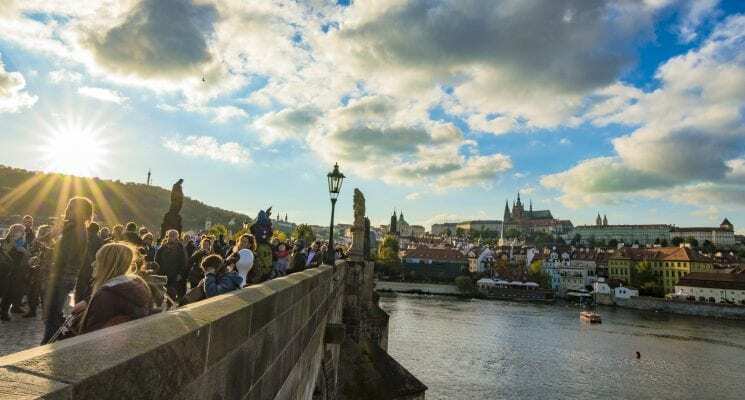 Stroll across the Charles Bridge during the day to take in the views, and return at night for the magical atmosphere, musical performances, and the sight of Prague Castle shining brightly against the nighttime sky. You’ll understand, when standing upon the bridge at night, why we refer to Prague as a Disneyland for grownups. Make sure you enter and climb the Old Town Tower Bridge for amazing landscape views, like the one above. It’s totally worth the 110 Kč (around $5 USD) entrance fee to go up into these towers for a pristine view of Mala Strana. Without a doubt one of the best viewpoints in Prague for photography, as well. Set atop a hilly vantage point overlooking the Vltava River, the castle is a staggering work of architectural design. Its twin spire church, St. Vitus Cathedral, is especially impressive. Sporting an abundance of arches, gargoyles, and massive Gothic spires that soar into the sky. The cathedral IS what everyone pictures when they think of Prague castle. The park around the castle is peaceful, green, and magnificently landscaped. A walk amidst the leafy pathways while marveling upwards at the castle on a sunny day makes for an unforgettable experience. 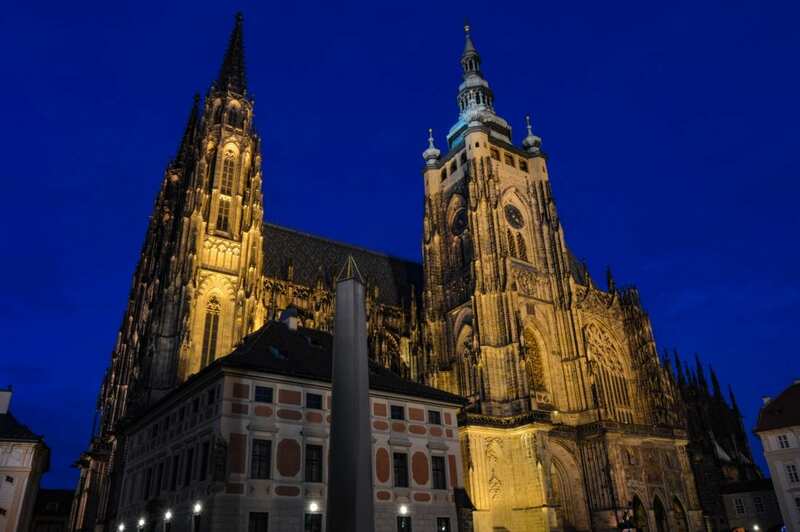 Check out our complete guide to visiting Prague Castle for everything you need to know about exploring this amazing work of wonder! 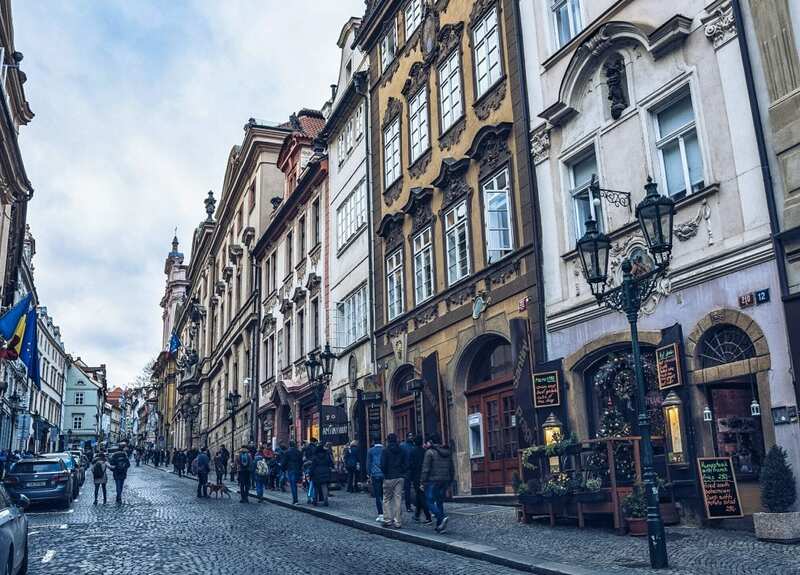 No matter what season you visit the city walking this neighborhood is one of the top things to do in Prague, so you are likely to run into many tourists on the main streets of Mala Strana. Don’t be afraid to jump off the main thoroughfares to turn into a side street and follow your curiosity. There is much to be discovered in this gorgeous neighborhood beyond overpriced food and cheap souvenirs. Read our guide for more on the marvelous neighborhood of Mala Strana, Prague. The square has seen centuries of history with some of its Gothic buildings dating back to the 14th century. This impressive square managed to survive World War II mostly unscathed, which is rare for European cities, but for which we can all be thankful. Parts of it are so well preserved you might wonder if you took a step back in time. You can ascend to the top of the Old Town Hall tower for around 250 Kč. It’s worth the price of admission, so make sure you do so. There are elevators for those who have a hard time climbing stairs and the views from atop are SPECTACULAR. You’ll get a really good look at Our Lady Before Tyn Church and the rest of the Prague’s magnificent Old Town in all directions. Absolutely a can’t miss item to put on your things to do in Prague list. During high season and the winter holidays the Old Town Square is crowded and festive, catering mostly to tourists. If you’re traveling on a budget in Prague don’t eat here as the restaurants are predictably over priced. Instead sip on a beverage purchased elsewhere, and take in the incredible architecture and ambiance of the city center. If you are visiting in the winter months be sure to pick up a cup of mulled hot wine from the vendors around the square. It’ll warm you right up! 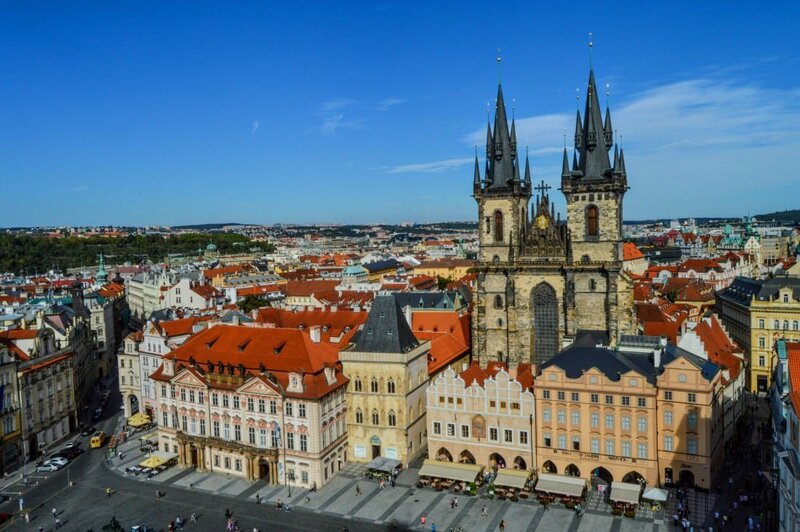 Check out our article on exploring Old Town Prague for some more tips on where you need to go when exploring this historic area for the first time! If you like random trinkets, want a small cheesy keep-sake, or need some gifts to take back home you should skip the tacky souvenir shops and head to Havel Market, right near Old Town Square. Dating alllll the way back to the 13th-century this bustling market used to sell only food and produce. Nowadays it is a bustling tourist market, a place where you can purchase everything from wooden toys and leather purses to baked goods and spices. If we’re being honest, you’ll find most of the same generic souvenirs here as you would at any souvenir store in Prague. We just think it’s more fun to shop in an open-air market. Tip: The market is open every day until 6:30 pm. Wallenstein Garden (Valdštejnská zahrada in Czech) is a fabulous Baroque masterpiece situated near the base of Prague Castle. It is not the most secluded and serene of the many gardens and parks in the neighborhood, but it is definitely one of the more stunning parks in Mala Strana, Prague. 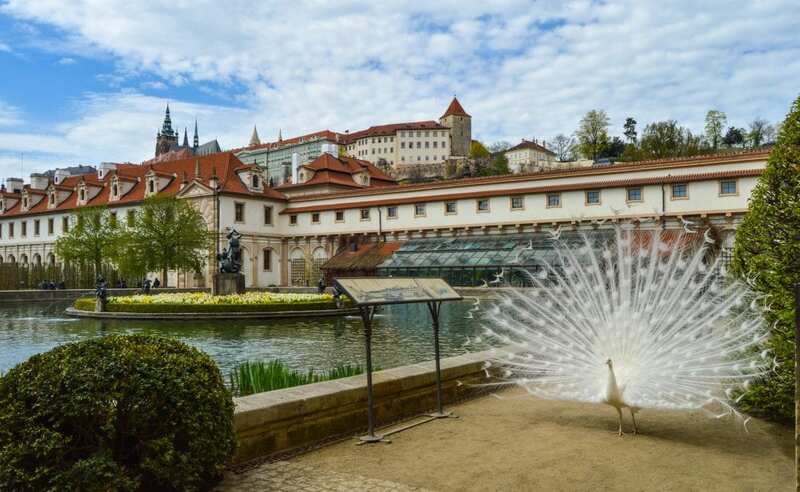 While Wallenstein Garden is worth visiting for the views of Prague Castle alone, the park is also home to Wallenstein Palace, a serene Koi pond, and some really sweet statues. All of that combined makes this garden/park a beautiful and tranquil place to leisurely stroll through. And oh yeah, the garden is home to a couple of white peacocks. These magnificent birds stroll around as if they own the place, and in a way, they do! As always, please don’t feed or touch the animals, and enjoy the incredible beauty of this wondrous garden! Note – Wallenstein Garden is closed between mid October and early April, so only those visiting in the Spring, Summer, and early Fall will get a chance to experience this awesome gem of a garden! Things to Do in Prague – Have a Czech Beer. Or Three. Regardless of where you consume your beverages drinking beer is definitely on the list of things to do in Prague. Na Zdravi (which means “to health” and is how you cheers in Czech)! Check out our list of the best places to drink delicious beer in Prague, and create your own beer tour of the City of 100 Spires! Prague has an excellent system of public transportation, using trams, metro, and buses that make getting around the city super easy. The best way to see parts of Prague you might otherwise miss is to hop on a tram and just ride it out in any direction. Prague’s network of trams is the third largest in the world, following Moscow and Budapest, and is one of the oldest in Europe. In fact, the very first trams were pulled by horses and date back to the year 1879. Today, the extensive network consists of 25 daytime routes, 9 night routes and one historic route. It also stretches over 500 km, and transports over 300 million passengers per year. We recommend riding a random tram if you are up for an adventure, and people watch as the city-scape slowly passes by. Alternatively, if adventure isn’t your thing, we recommend riding either the historic 91 or 23 trams. 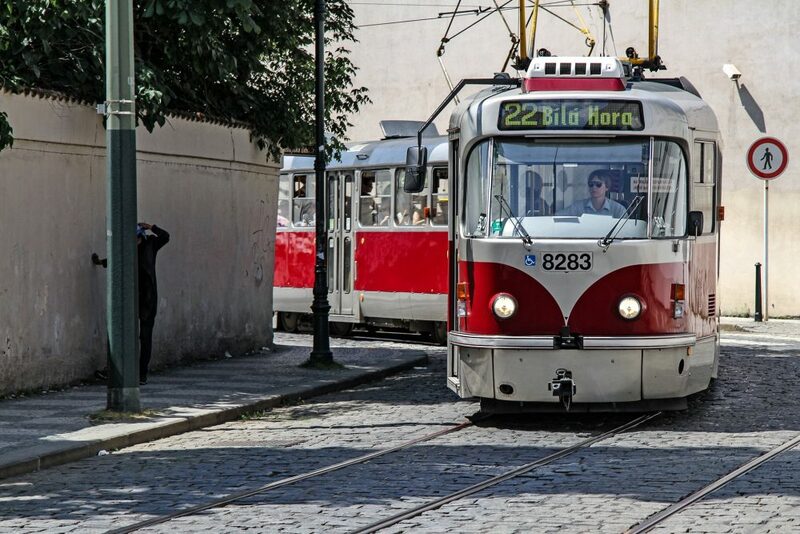 These old school trams take you through some of Prague’s most important landmarks. SO if you are a first time visitor make sure to add at least one tram ride to your things to do in Prague list! 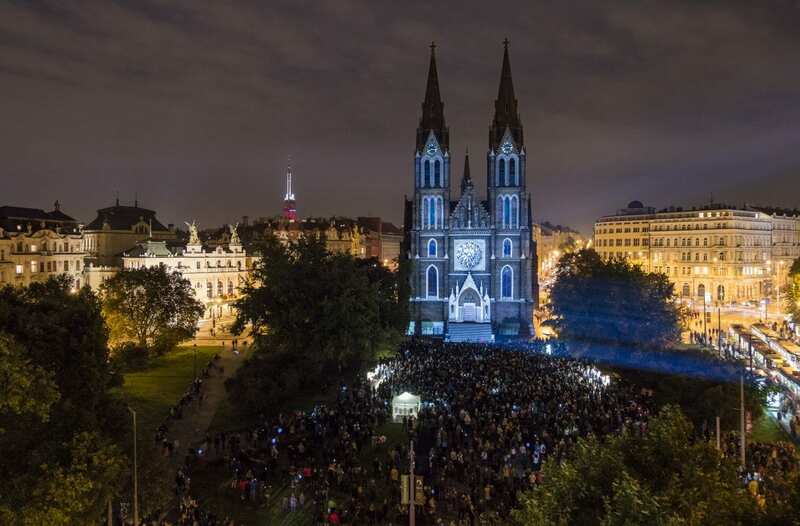 As a first time visitor you probably won’t venture outside of the Center much, but trust us when we tell you that Prague’s nightlife extends well beyond the confines of Prague 1. And as it happens, we wrote a guide about that as well! So check that out, and go party! 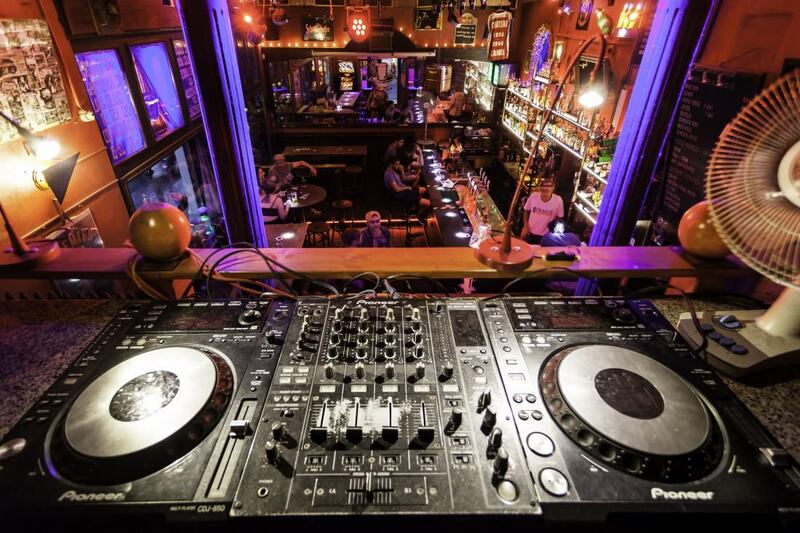 For more information check out our guide to Prague nightlife, which includes the best bars and clubs in Prague! 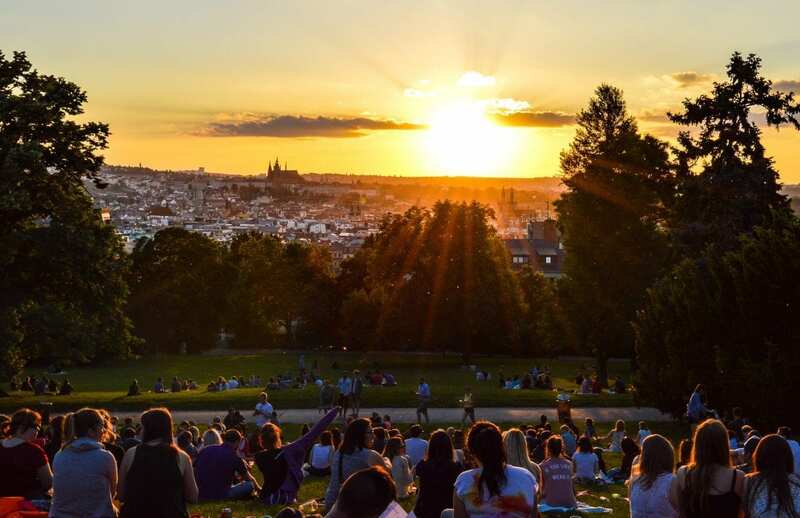 For more incredible views of Prague head to Petrin Hill, or if it’s a nice day take a trip to Riegrovy Sady to catch views like the one above. Read our recommendations on great places to eat with our guide to the 18 best restaurants in Prague! 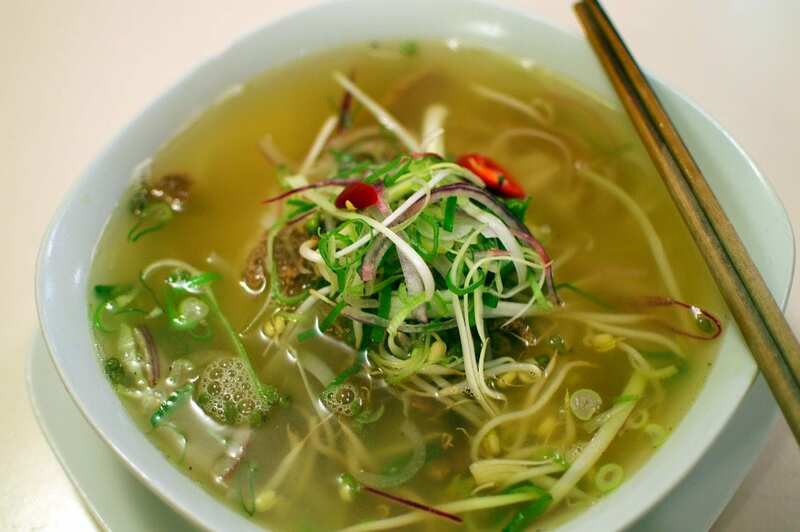 Click here to read our Vegan Guide to Prague on our sister site, Veggie Visa. Some of our favorites include the alien babies on Kampa, the Memorial to the Victims of Communism at the base of Petřín Hill, and the giant transforming Franz Kafka head outside the Quadrio shopping center (seen below). Check out our article on the best museums in Prague for more information on all the great places you can visit during your time here, and how you can explore a whole bunch of museums for free! A round trip ticket should cost you 99 Kč and trains depart just about every 30 minutes. Keep your eyes open on the train, the Czech Republic has some gorgeous country side to gaze at as you zoom by. 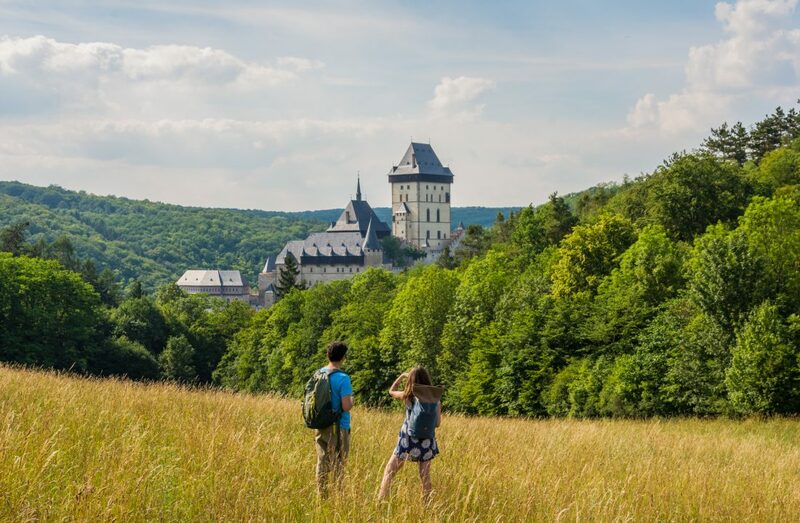 Read our detailed article for much more information about taking a day trip from Prague to Karlstejn. You can spend years living in Prague and not learn all of its little secrets. 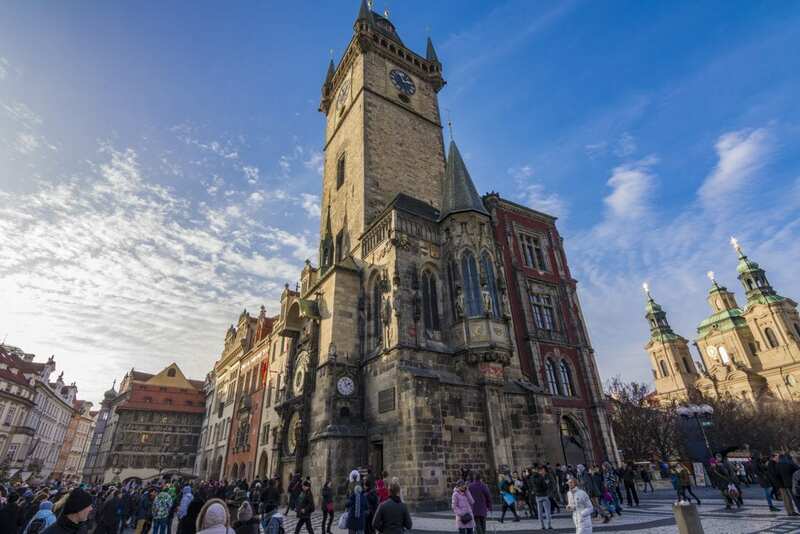 So, unless you choose to move to the Czech Republic and begin your in-depth exploration of Prague, we suggest taking a highly specialized tour with our favorite Czech owned and operated tour company ThinkPrague. ThinkPrague offers both traditional historic tours and unique tours. 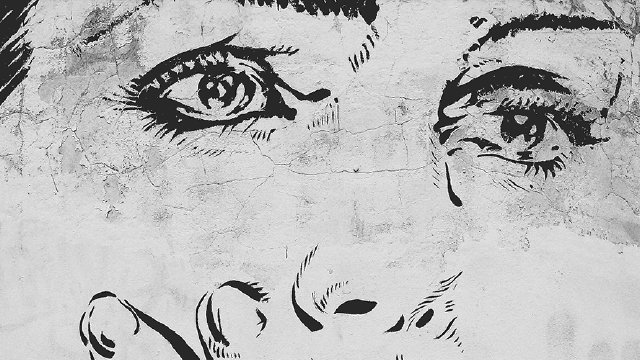 We recommend you have a look at their excellent Street Vibes tour which focuses on the Prague’s unique modern art, design, and gastronomy. All tours are lead by enthusiastic and knowledgeable locals and are private so you’ll have the full attention of your guide. Click here to read more about ThinkPrague’s tours. There are a TON of things to do in Prague. However, if you are in town for longer than a few days we highly recommend you take some time to see a bit of the Czech Republic outside of its capital. 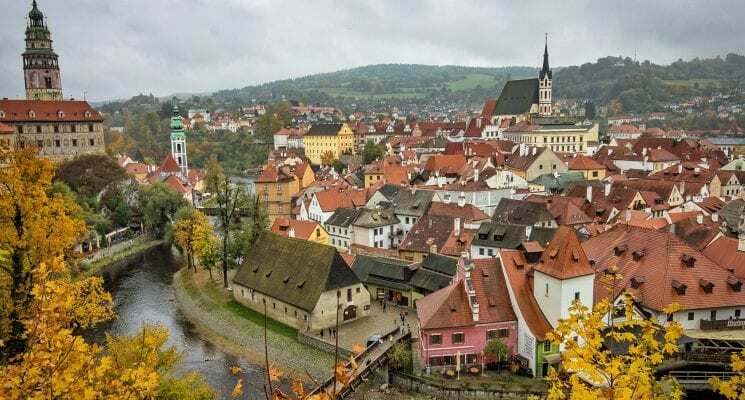 There are many places to go, like the fairy tale town of Cesky Krumlov pictures above, so we wrote this handy guide detailing a bunch of different day trips from Prague just for you guys! We really hope you enjoy your time in this wondrous city, and hope you find some time to explore the rest of the country as well. You can also take day trips from Prague to explore 11 of the UNESCO World Heritage Sites you can find in the Czech Republic. Read the linked article for much more information! Want to explore the Czech Republic by car? Compare the best car rental rates in the Czech Republic here! Now all you need is a list of places to go, and some wanderlusting feet to take you there. No worries, we’ve got you covered on the first part. 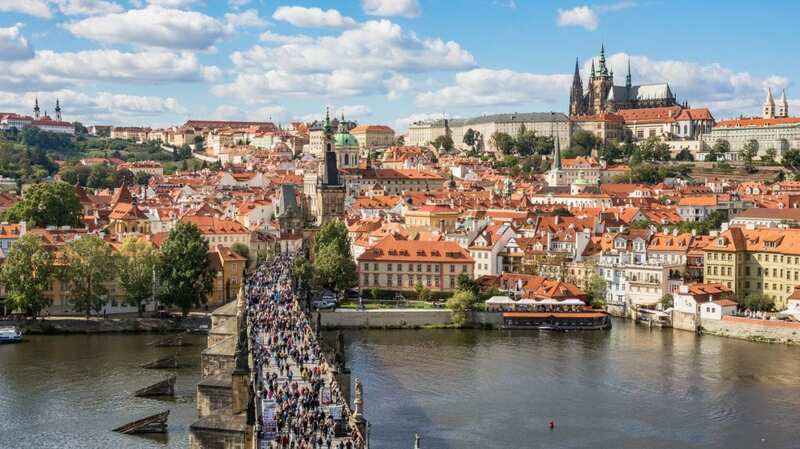 Check out our article about getting off the beaten path in Prague and explore the Prague that most tourists never get to see! 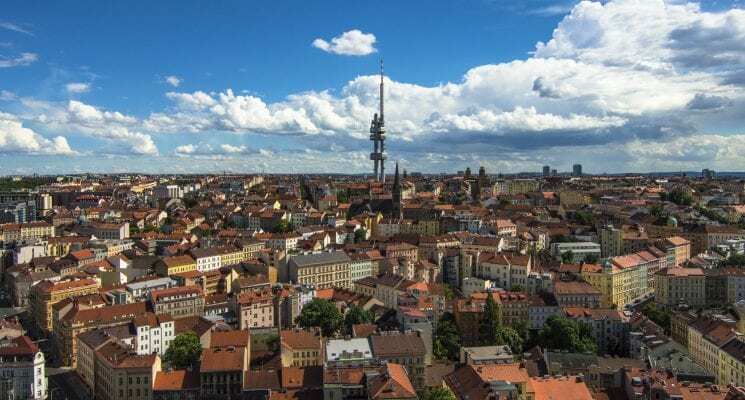 For a more specific dive into the lesser seen (by tourists) areas of Prague you can check out our guide to Zizkov, one of our favorite neighborhoods in Prague. How much do we like Zizkov? Enough to live here for over a year! Prague offers a huge amount of accommodation options, from luxury hotels to budget hostels. Sorting through all the options can be quite a chose so here are two quick options, depending on your travel budget. 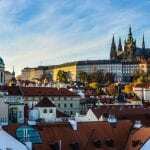 We put some options down below for you guys, but if you want more options you can have a look at our complete guide to where to stay in Prague depending on your budget. The Alchymist Grand Hotel and Spa is one of the best luxury hotels in Prague, and will definitely make your stay in this magical city that little bit more special! 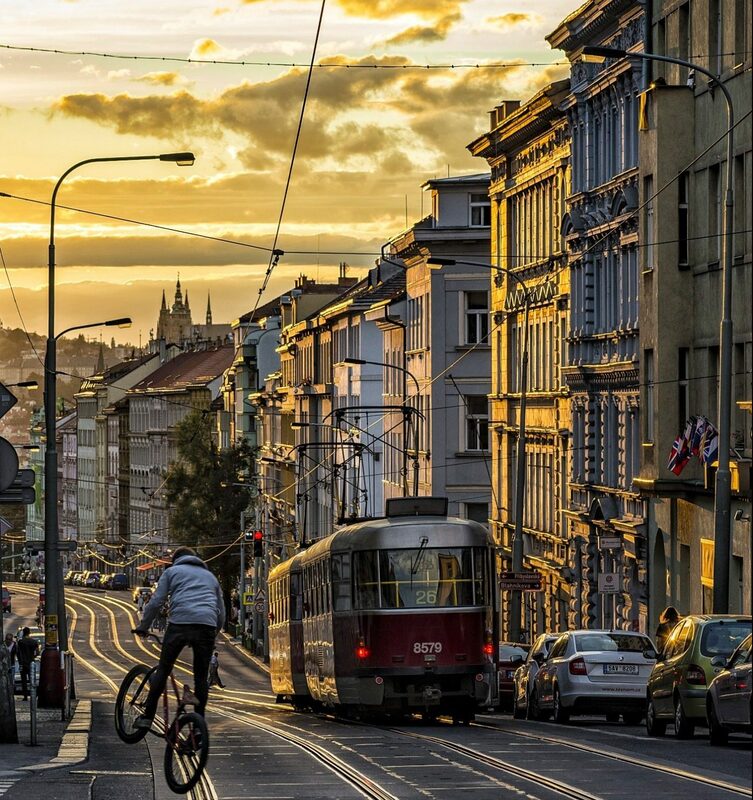 Ideally located in the centre of Prague, it takes the hassle out of getting around the city. In just 5 minutes you can reach Charles Bridge on foot! This charming and luxurious 5 star hotel is situated in a landmark baroque building which dates back to the 16th century. Want more options? Check out our guide to hotels in Prague. Located a short five minute walk from Prague Castle, Vintage Design Hotel Sax is one of the best hotels in Prague due to its fantastic location in the historic centre, and its great atmosphere. The Charles Bridge is only a 10 minute walk away, and many of Prague’s top attractions are easily accessible with the metro. Want more options? Check out our guide to the best boutique hotels in Prague! From the moment you set foot inside the Czech Inn you’ll appreciate its beautiful and unique decor. The bright splashes of color against muted tones, the perfectly balanced mixed of modern and vintage furniture, and the odd baubles throughout the building, go a long way to making this one of the most visually attractive hostels we have ever visited. Czech Inn is located in Prague 2, just a few minutes by tram from Namesti Miru, and is a great choice of hostel for budget travelers and backpackers. Want more options? Check out our guide to the best hostels in Prague! We aren’t the world’s biggest fans of group tours, we prefer exploring things at our own pace. However, if you are in a city for a short period of time an organized tour can really help you learn a lot, quickly, and can therefor come in handy. We put together a list of tours in Prague that we think might benefit a first time visitor. Below is a short summary of a few the most exciting tours you might want to consider. For a full list check out our guide to the best tours in Prague. 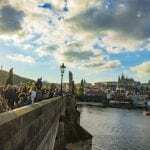 Prague Ghosts and Legends Tour – Learn about folk lore and local legends as you explore a bit of Prague. 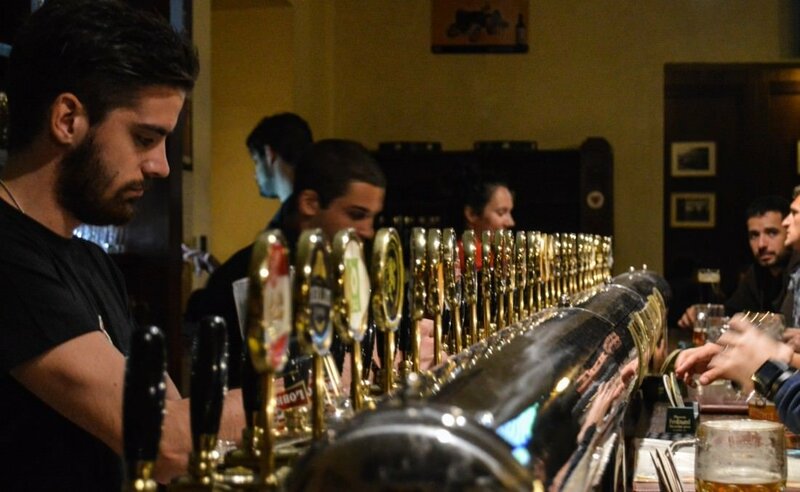 Czech Beer Museum Tour in Prague – For the beer lovers out there. Learn all about beer…while drinking it! 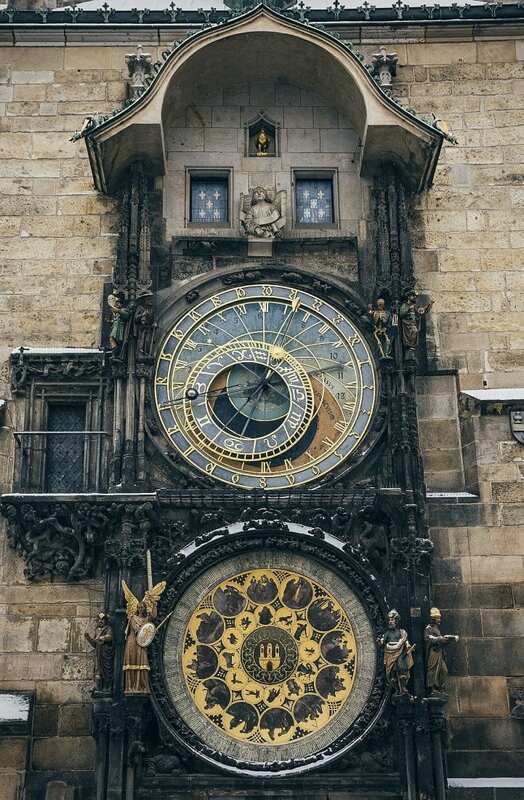 Prague Old Town, New Town, and Astronomical Clock Tour – Comprehensive tour of Prague’s biggest tourist attractions. Kutna Hora and Bone Chapel Tour Day Trip From Prague – A 8 hour tour to the fascinating Kutna Hora, which is about 40 minutes outside of Prague. Well, there you have it folks. Our guide to things to do in Prague. Please let us know if you have visited Prague and think we missed something that should absolutely be on our list of things to do! As always, safe travels and we’ll see you on the road! Or if you are visiting Prague, feel free to drop us a line either via email or on our Facebook page, to let us know you are coming! Maybe we can have a beer or three! ← Beer Spas in Prague and the Czech Republic- Should You Visit? Excellent information to the budget traveller. Thank you very much! Have you visited Prague yet? Great tip Jon! Anyone who is into sculpture should see those babies. David Černý created them in 1994 for Chicago Museum of Contemporary art, they were showed in New York in 1995, in London in 1999 and 10 copies is currently in front of Palm Springs Art Museum in California where they crawling in a huge sand box. David Černý is one of the Czech most expensive modern artists and his other famous sculpture is moving Kafka’s head at Národní Třída mentioned with video in the article above. Thanks for the background! We’re big fans of his work. 🙂 Unfortunately the babies have been removed from the TV Tower for cleaning/repair…hopefully to be returned some day soon. I miss them! and whatever you do: DO NOT drive a car. Don’t do that anywhere in Europe. Or, you are missing the whole point. you can think you need a car, but, you don’t. you can get anywhere by public transport or foot. Will need to go back! Prague, Czech Republic. Can you suggest any activities I can do for my visit to make my trip a memorable one? Hi Ana, great you are coming to Prague! I’m sure you’ll love it. 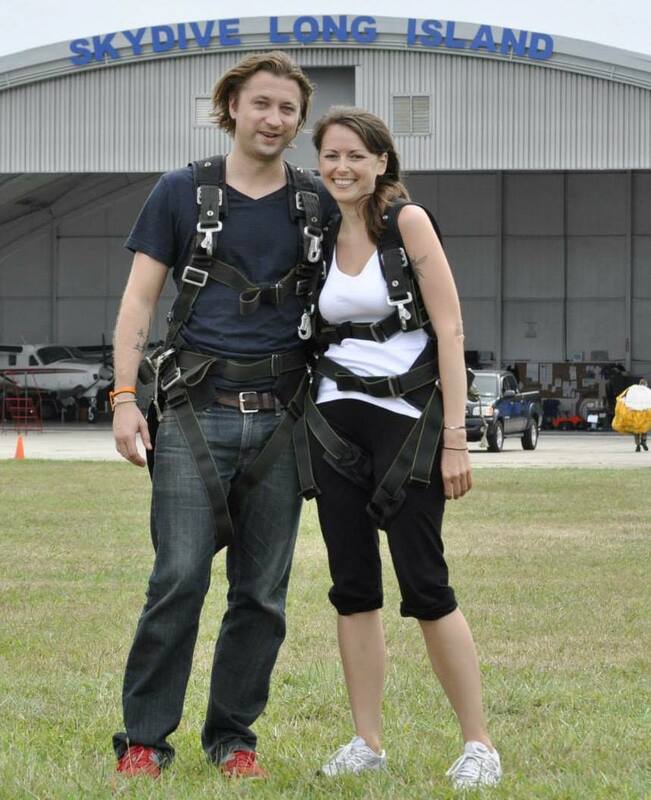 I’d suggest you check out the below articles to make your trip especially memorable. I trust you have a great idea on how I and my friends can explore the place. Would you mind to have itinerary for us? Yes, I know it. It’s real what you said. Great article! We’re planning a trip to Prague and now we have some great insights on what to see and do. I love this! We just booked a trip to Prague for my birthday next week and I literally just copied and pasted your recommendations. Thanks so much! It’ll be our first time and WE CAN’T WAIT! Great article full of ideas! My father’s family is from the Czech Republic so I am hoping to add Prague to the itinerary of our European adventure in 2017. Can you please tell me where the cover photo overlooking the city with your lovely lady so beautifully framed in the right of the picture was taken? I would LOVE to recreate the photo with my daughter smiling as we over look Prague. Love all your photo! So great that you’ll be visiting Prague next year! I’m sure you will love it! Michael took the photo of me when we were in the Old Town Bridge Tower. It’s right by the Charles Bridge, on the east side of the river. I hope that helps! Hi..I am planning a trip towards the end of Nov..any suggestions ? As I know it would be very cold..
Hope this helps and feel free to let us know if you have any more questions! 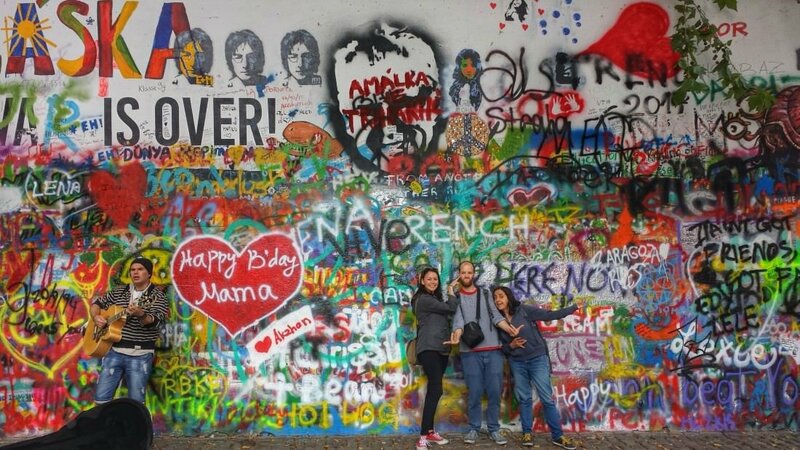 Letna Park and The John Lennon Wall is mouth watering. A photographer’s delight ! But then , that would be entire Prague ! What’s the climate like in mid october? Will be going in a week! Thank you! Hi Claudia! Great to hear from you, and thanks for asking about accommodations. I pinned this article. I visited the city a month ago with “Monogram “. Next time I will do it my own. I will keep this article for my reference. Great article…Thank You! 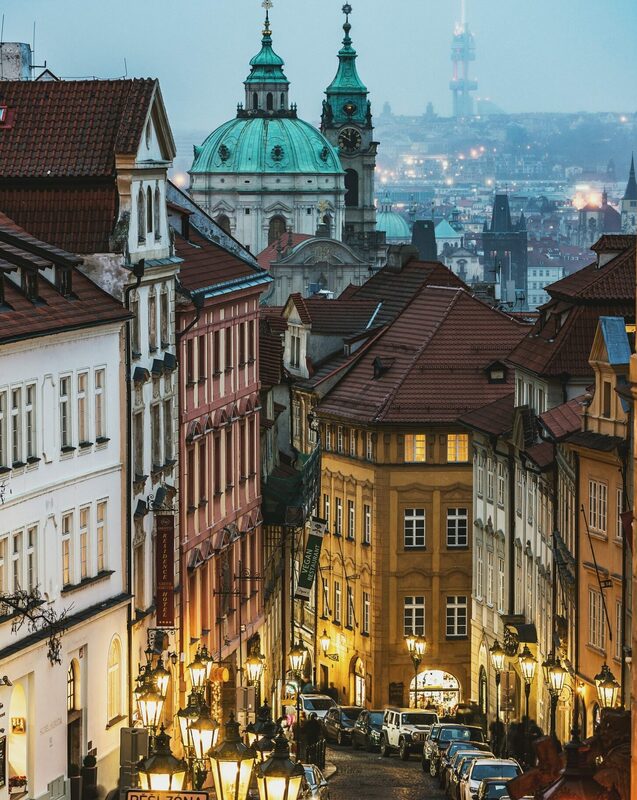 Prague is on “my list” and I’m contemplating a visit in March. Do you have any tips for traveling with children? We have a 7-year old “energetic” son. THANKS! Erin, happy to help! Let us know where else you are going other than Prague and we might be able to offer advice for those places as well! Thank you for the informative and well done article! We will be visiting Prague June 13-16 and will use your article for a guide. Can you suggest outdoor activities that include cycling, kayaking, river rides, short hikes, etc. We would also like to take a foodie tour that includes possible visits to wineries if not too far outside of the city. I enjoyed reading your sooo informative article. I HV my itinerary this 11 the may 2018. Staying for 3.5 days. How should I squeeze in the places plus places at off beaten track..
Hi Uma, Happy to hear you are visiting Prague. 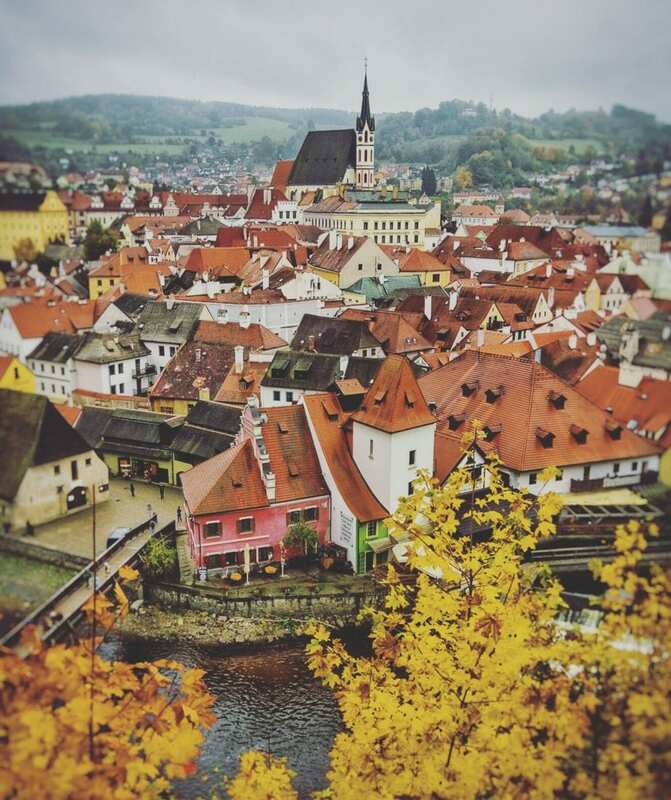 Here is our guide to off the beaten path places to help you out – https://www.justapack.com/off-the-beaten-path-prague/. This is amazing! I’ll be going to Prague this September and your article is very helpful. Thank you for the information! Is English spoken in most parts of the city? We are taking a Danube River cruise and are considering adding Prague to the beginning of our trip but will be traveling independently and won’t know the language. Thank you for this – SO helpful. We have booked to stay in Czech Inn for 4 nights in October thanks to this post. A few questions though: what is the easiest/cheapest way of getting from Czech Inn to the centre? How long does it take? Also, any trips or things you recommend to book? I’ve got on my list so far is a beer spa and ice bar. Any tips would be very helpful. Additionally the Prague tour we have linked in this article is a great one to take if you want to learn more about the city in a unique way. Let us know if you need anything else, and feel free to bookmark for future use hahah! And enjoy Prague, of course!! Hi. Planning to visit Prague in December. We will be based in Vienna. What are your thoughts on driving up vs just taking the train? One of the things on our list is the Christmas market in Wenceslas Square. Thanks. Personally we would take the train, but it depends on what else you would like to do while in Prague, such as day trips out of the city. If you plan on staying in Prague only than you have no need for a car. Hope you enjoy the Christmas Markets! I’m visiting Prague in November and I’m interested in doing a beer and food tour walking tour. There is a flea market that I’d like to visit – not sure of the name, but I know it’s huge. Any suggestion of where’s the best place to buy Garnet off the beaten path. I hear you need to be careful of counterfeits. Any info for local night life would be helpful. Hey guys! I’m so glad I found your article. I’m visiting during the last week of November and my trip is split between Paris and Prague. Is public transportation from the airport advisable? Or is it best to pay for a cab? I’m familiar with the metro system, but I know sometimes that can be hectic. Also, can you give us a range of good (non-tourist) prices for a few items? And, sorry, last question. Where do you recommend is the best place for currency, at the airport or in the center once in town? – For info about public transport from the Airport to the center – https://www.justapack.com/prague-public-transport/. We always use the public transport to get to/from the airport unless it’s super early or super late when we depart/arrive. – Prices – https://www.justapack.com/prague-travel-guide/ (includes info about getting local currency. Basically use a bank ATM machine. Don’t go to one of the exchange shops). Hope this info helps and hope you have a wonderful trip! Take care. We generally never ever use currency converting shops, and instead use ATMS, We usually find that ATMS in Europe (as long as they are NOT EuroNet ATMs) offer the best value, and also let you walk around with small amount of cash instead of large wads. Also cards are accepted in most tourist businesses in Prague. Avg Meal – 200 – 300 CZK for dinner per person, without drinks. The more central you are the more it costs. Beer – A real Czech would never pay more than 45czk for a beer, but tourists can pay up to 80czk depending on where they drink. Enjoy your time and make sure you read about our day trips from Prague article, as well as our getting off the beaten Path in Prague articles!! Hi, Nice article. Thank you. Can you tell me about those beer spas in Prague, the ones that you bath in beer. Have you visited one? is it worth to visit? Hey Art, in most of these spas you don’t actually bathe in beer. Some of them pour a few liters of beer into your bath, some of them use ingredients that beer is made out of inside the bath water. You do, however, usually get all the beer you can drink while in the spa, usually from your own beer tap. Overall, we don’t think it’s worth the money, just go to a real spa and save your money for drinkable beer, of which there is a literal ton of in Prague and the Czech Republic. Thank you so much for this very informative article. we are planning to visit Prague in 2 weeks and finding your article really comes very handy.